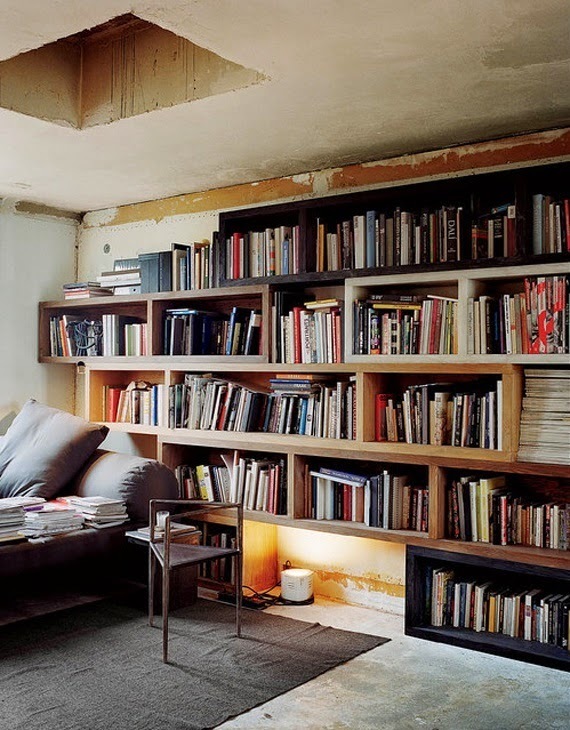 Now this is something really different from the light and Scandinavian homes I love to show on the blog... 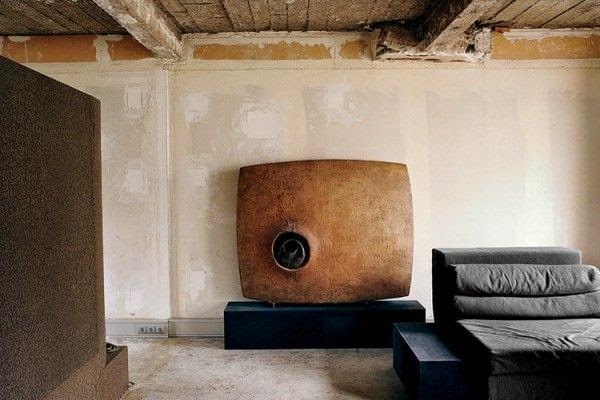 This is a more dark, raw and industrial way of decorating. 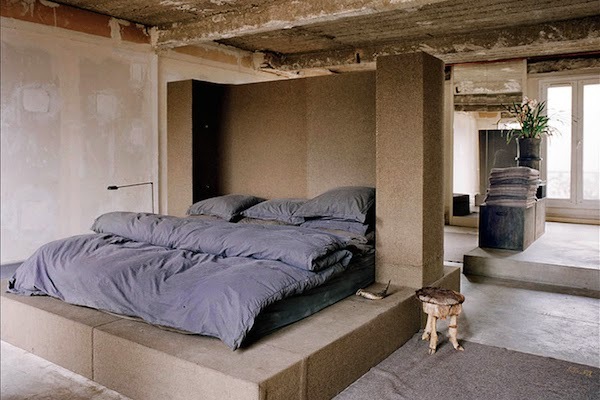 It is the home of designer Rick Owens. 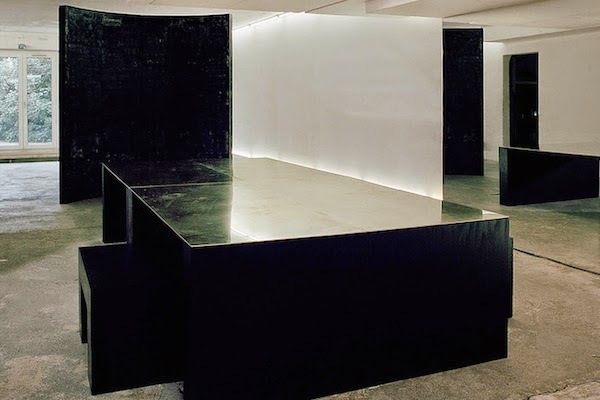 Whenever I am in Paris I try to visite the stand of Rick Owens at Maison et Objet. 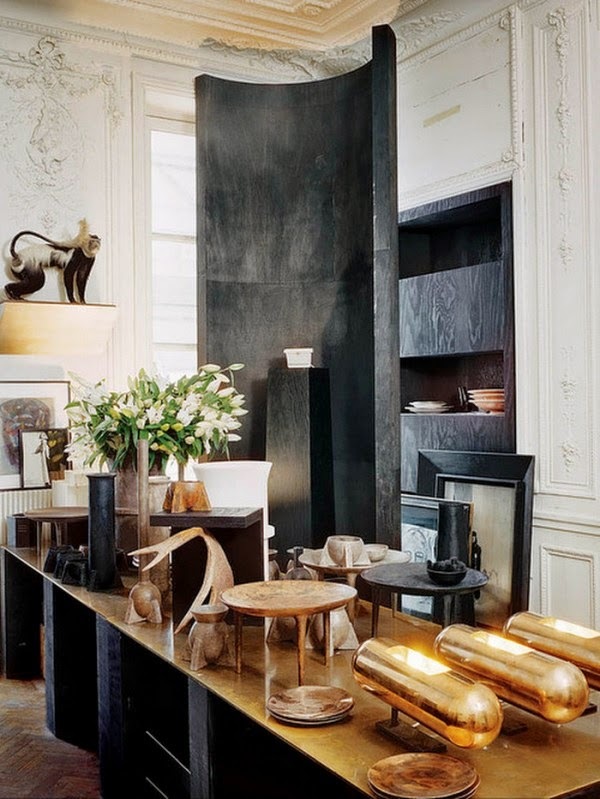 I captured the designers furniture line in 2012 and if you do like a bit of dark and gothic style, you should have a look at it |Maison & Objet - An impression with Rick Owens| and the latest pictures I made in 2013 |Mixed materials | Rick Owens | I especially loved the copper tables! 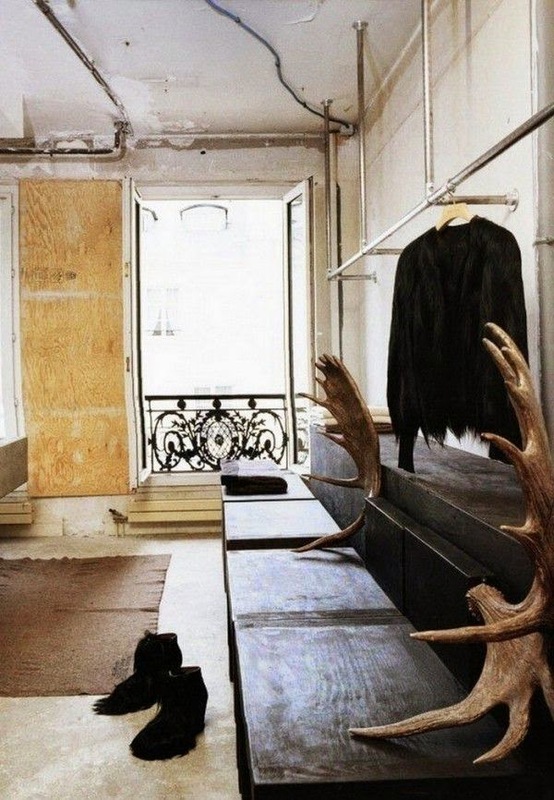 Rick Owens lives and works in this formerly office of Francois Mitterrand in Paris, where some of the spaces are stripped down and have an industrial bare look. 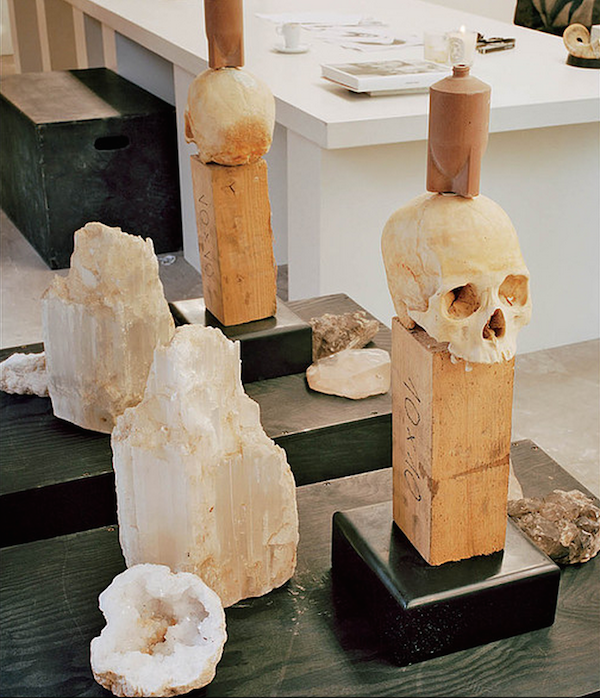 Below some installations and furniture by Rick Owens. 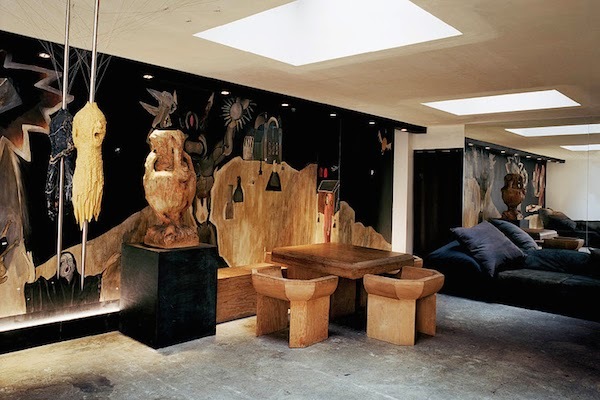 Above the meeting room with a sculpture by Horst Egon Kalinowski and a minimalistic bathroom below with a concrete sink.